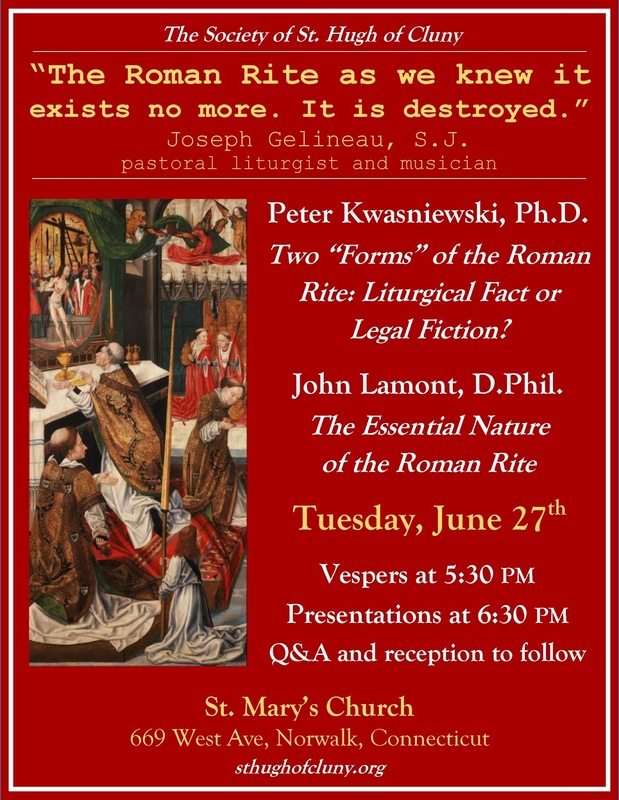 on Tuesday, June 27, starting a 5:30 pm, namely, traditional Vespers, a lecture by me, a lecture by Dr. John Lamont, a Q&A period, and a reception with refreshments. In addition, representatives of Angelico Press will be on hand for the launch of my new book: Noble Beauty, Transcendent Holiness: Why the Modern Age Needs the Mass of Ages. Copies will be available for purchase at a special 20% discount.